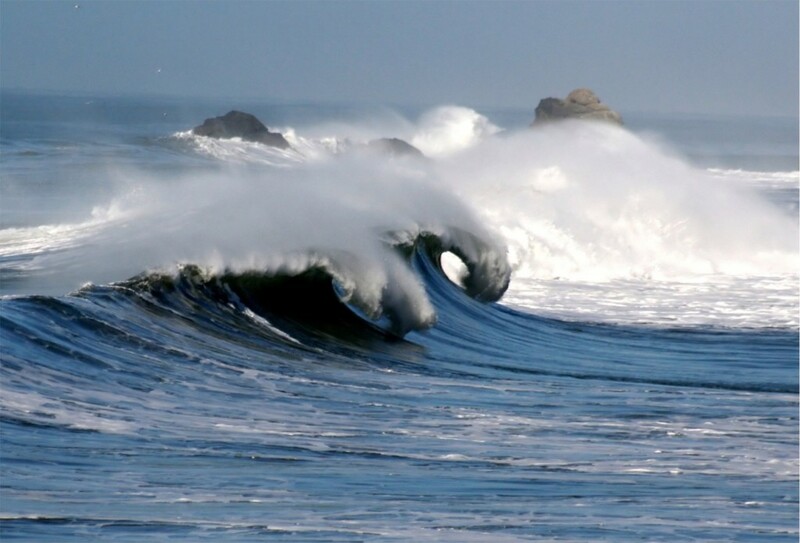 Waves are caused by wind blowing over the surface of the water. How big the waves get is determined by the strength of the wind, the duration of the gust, and the distance the gust has traveled. Fifty knots of wind can create waves over thirty feet tall with breaking crests. Though waves appear to consist of water traveling in the direction of the wind, in fact the water is not really moving in a horizontal direction. It is moving vertically—up and down. In the deep ocean, something floating on the waves will move up and down in basically the same spot unless the wind blows it forward.